Maui is an adorable 22 pound mix maybe some terrier maybe shepherd maybe some lab it's hard to say but he's an adorable black little love bug he's a special-needs. 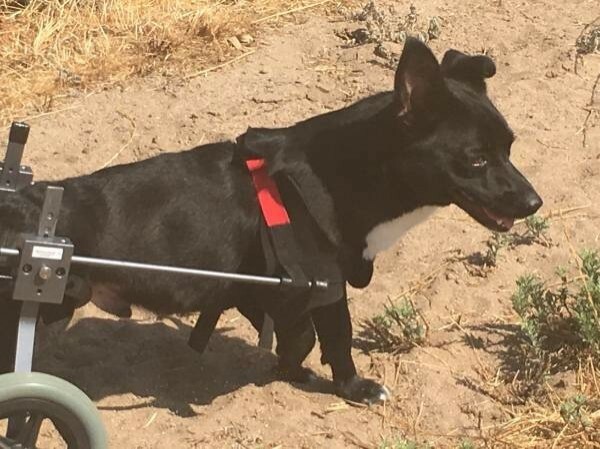 he is a paraplegic and has a cart and other items that go with him as you can see in the video he is still very mobile and loves to play he's very active and needs an active family he's full of love to give and had a really bad start and a neglectful previous owner who let this happen to him and let it go. will you be at fresh start for him? We can assist in the training and assimilation of him into the right home. 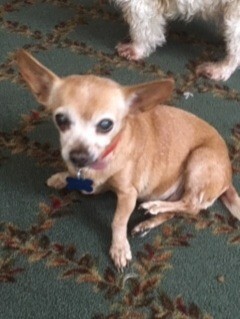 Betty is a sweet older 8 lb little senior Chihuahua about 10 yrs old who loves being brushed and petted. She loves to cuddle. She loves to curl up in blankets or in a doggie bed and at bedtime she rushes to the bedroom to get her favorite spot which is a fluffy blanket she curls up in. She loves to eat so you have to make sure not to over feed her. I have to guard the other dogs bowls until they are done; she then checks to make sure every morsel is eaten. She is very vocal when she thinks it is her mealtime or when she wants to sleep in your lap and in greeting you when you come home. She is house trained but you need to remember to let her out regularly. Betty loves everyone - even the cat. Oliver as we area calling him followed our vet into his office off the streets of TJ. He has been fully vetted and his healthy and super sweet. Lots of energy to go hiking and long walks with. Great with everyone, kids too. Very petite for his breed only about 35 lbs. 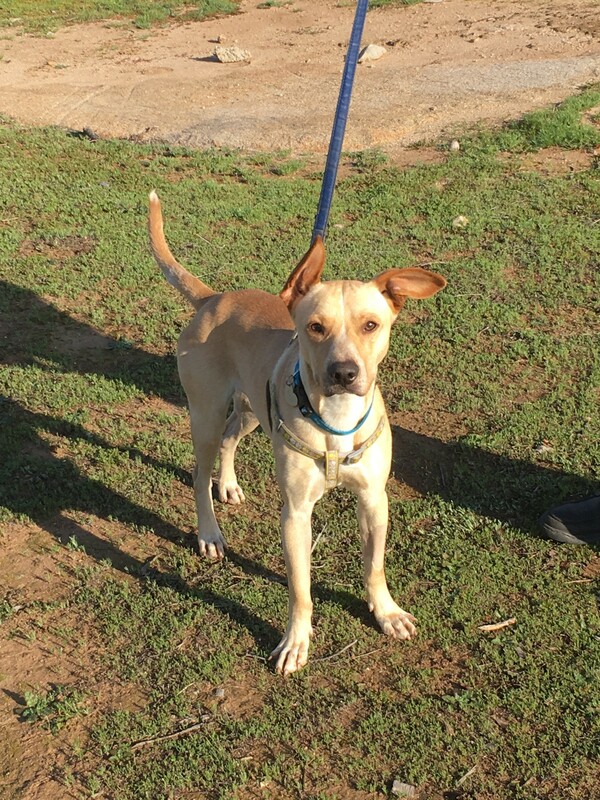 Sort of a small yellow lab mix we think. Won't get any bigger as he is full grown at about 1 years old. Looking for his forever home. 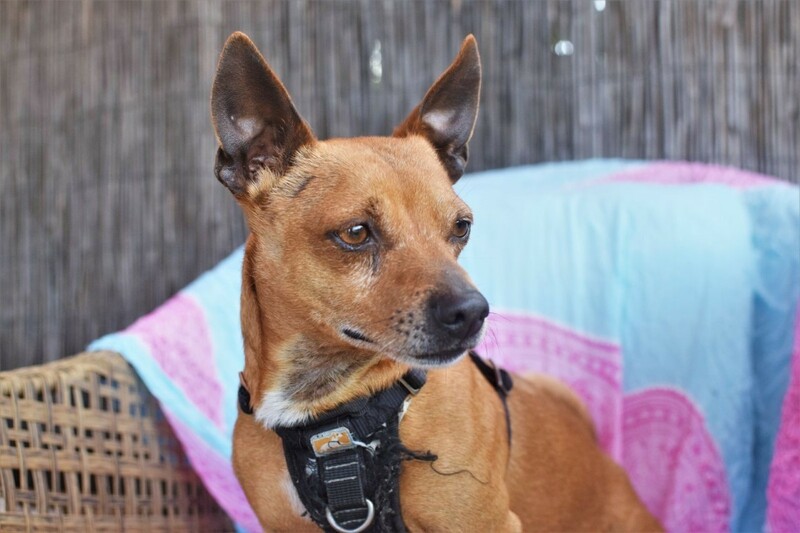 Meet Rusty… he’s an adorable little 15 pound mix with probably some Manchester terrier and Chihuahua and other stuff in him. He is aprox 5 yrs old he was attacked by a coyote and brought into a county shelter where he had to spend a couple months healing we’re not sure if his fur is going to grow back in or not because he still got shave down spots where they stitched him back together. It’s just amazing he even survived a coyote attack being so small he’s very playful and social with other small dogs and loves attention. He was a shelter favorite because he is quiet, calm and loves people. 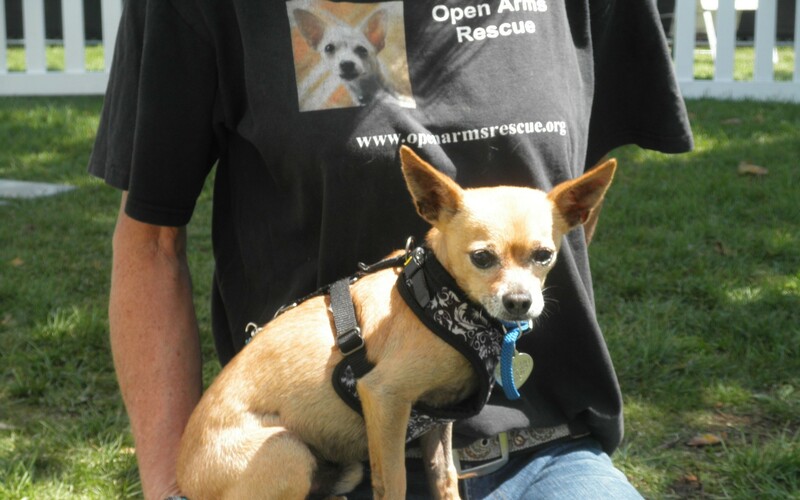 He is a muscular little dog who is potty trained, crate trained and walks well on a leash. He gets along with other dogs and cats. 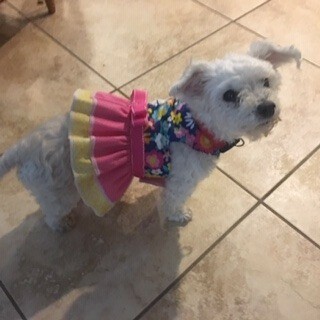 Chloe, a little 6 lb Maltese and about 6 years old. She is a sweetheart once she trusts you; She was dumped on the streets because the family that adopted her from our rescue 3 years ago decided they didn't want her anymore but rather than contacting us they dumped her on the streets where she was picked up by animal control and brought into the public shelter. In this horrible home she learned to MISTRUST people. We think she was definatley abused as she is missing her front teeth. 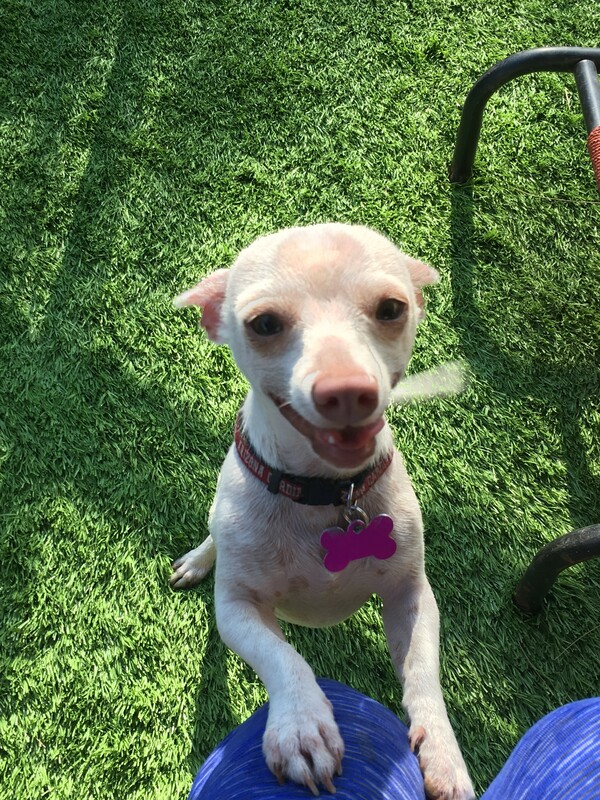 Because of this she needs a home where she is the only dog with adults only. She does get along with other low energy dogs. She is house trained; she barks when she wants to go outside. She also prefers to sleep in a crate with a big stuffed pillow and toy at night. She’s been in my home for a couple of weeks now and is displaying her playfulness. She gets excited about squeaky toys and loves to play tug-a-war. She and the foster moms Shi Tzu love playing tug-a-war and she is trying to play with the other dogs. When I come home from the store she barks and dances around so excited that I’m back. She loves to be brushed and liked to be petted or get scratches. She has some trust issues at first until she bonds with the new owner. The vet was able to mend all of his injuries and wound up removing hundreds of ticks from his tiny body. He had extensive surgery on his foot, including the insertion of pins. The pins have been removed and he is now ready for his forever home. He walks, jumps and runs normal. Meet Opi (short for Opossum because he has a cute little long snout w/an underbite like a Opossum)!